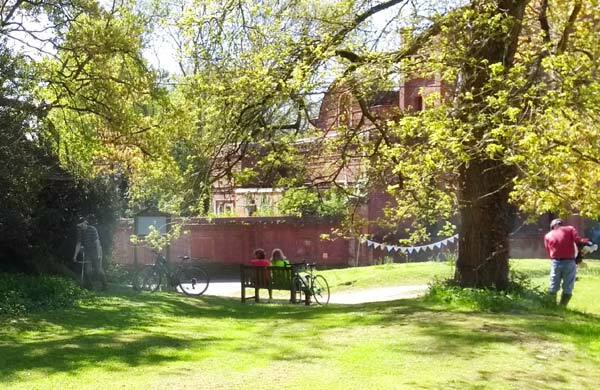 You've cycled to a quiet Hampshire Village and settled down to enjoy a picnic in shade. 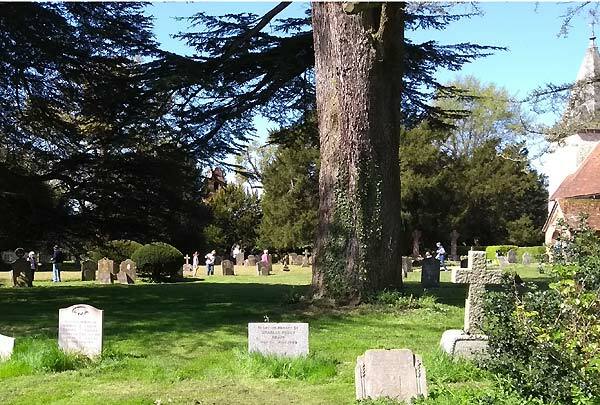 The sun is shining, the birds are singing in the Churchyard and the leaves on the trees are ruffled by a gentle breeze. 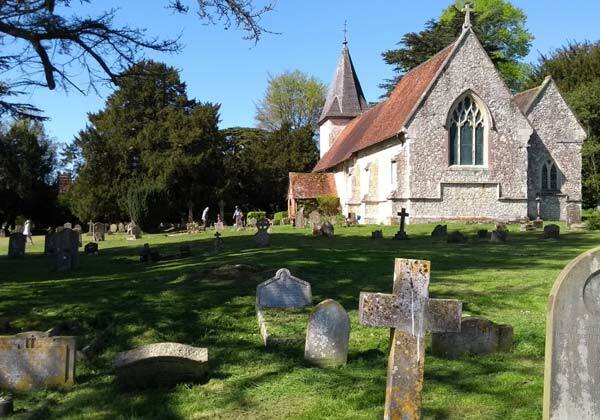 What better way to spend a day out and enjoy the peace and quiet of the Hampshire countryside. You could find yourself besieged by biting insects but there are none. You could be trampled by a herd of migrating wildebeest, but, despite global warming, no herds have, as yet, wandered as far as North East Hampshire. Just as you're tucking into the Cucumber sandwiches you notice a number of individuals, in strange headgear, approaching from the East. Within minutes* the peace is shattered by a cacophony of strimmers and, you find yourself engulfed in a cloud of pungent blue exhaust fumes. 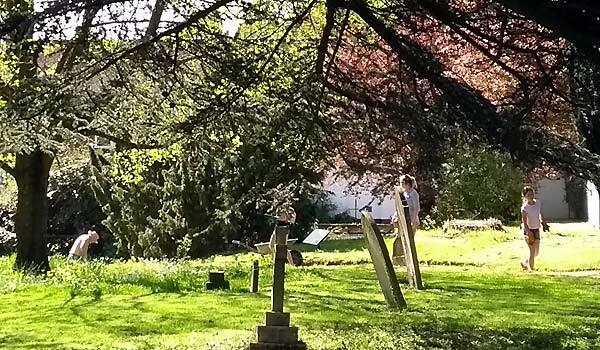 This is the moment when you discover today is the day of the Churchyard Clear Up! *Perhaps "minutes" is a slight exaggeration as the two-stroke engine is notoriously difficult to start, especially so when the machine has not been used for some time. The emission of exhaust fumes is almost invariably preceded by a ritual that involves repeated pulling of the starter cord accompanied by traditional incantations, some of which can offend the ear of individuals of a delicate disposition. Fortunately, due to the nature of the exercise, the operators were more restrained than usual and naught but the occasional indecipherable mumble could be heard before the machines, eventually, burst into life in a cloud of blue smoke. 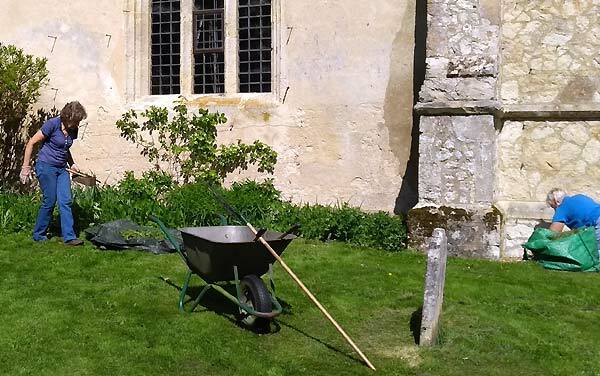 There were strimmers to the left, and strimmers to the right attacking the vegetation in the churchyard although there were one or two pit stops during the morning. 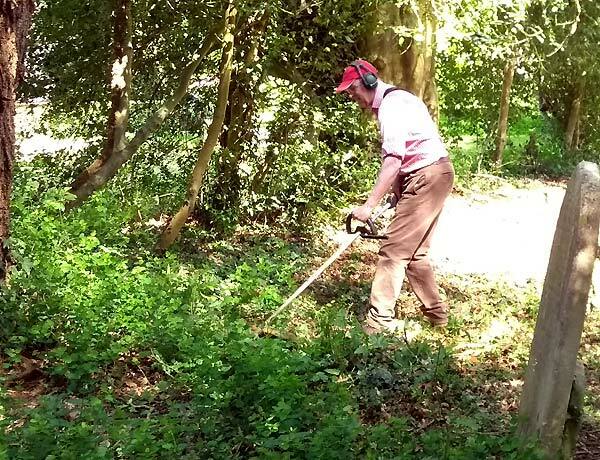 Not everybody was armed with a strimmer, an assortment of generations were at work in the areas where a more delicate touch was needed to sort out the vegetation. 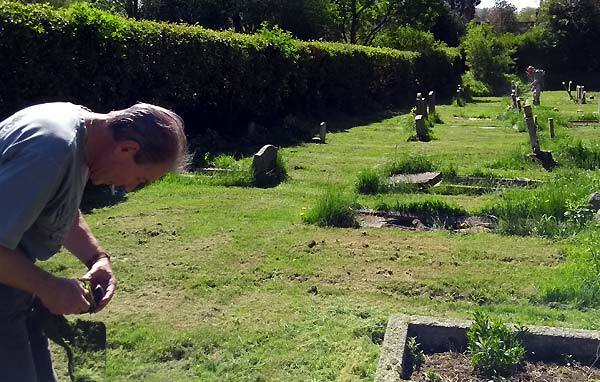 With so many volunteers in action the Churchyard was soon looking spick and span. There was an oasis of calm inside the Church as the Clear Up, despite two postponements due to the weather, was timed to coincide with the monthly Coffee Morning. There was an absence of male representatives when this picture was taken as strimming, in common with the traditional incineration of food on the barbecue is, even in these enlightened days, generally a male preserve. I'm not sure what these two activities have in common apart from the fact that both are often accompanied with the emission of clouds of pungent blue smoke and much muttering of traditional oaths. Incidentally, your correspondent was unable to participate in the Clear Up or the Coffee Morning due to agricultural demands but, as more than one volunteer observed, this was probably of benefit to both activities. 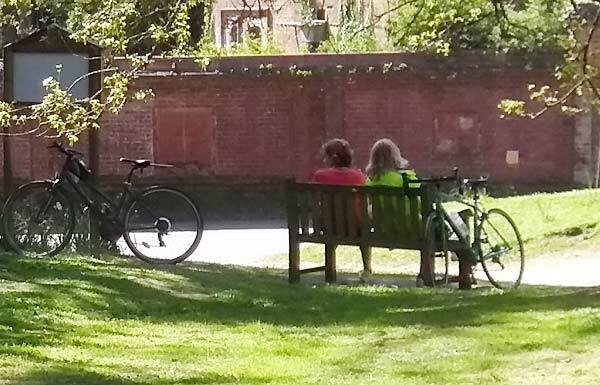 Congratulations to all who took part and I hope our two cyclists will return and enjoy the rural delights of Farringdon again on a more peaceful weekend.